A pink 'bunny?' 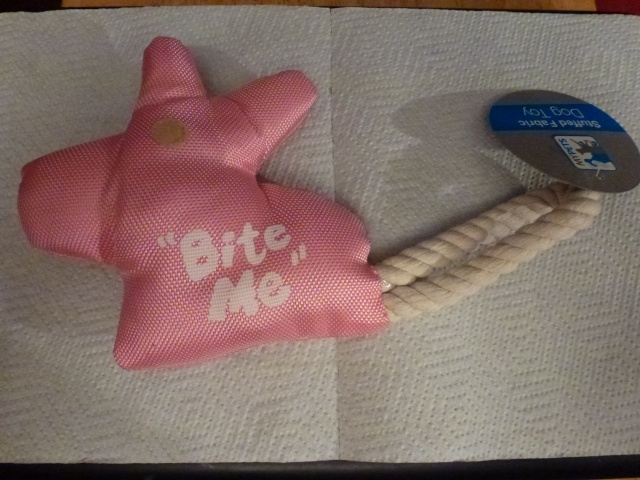 shaped tug toy. Ideal as a stocking filler for your favourite furry playmate. Starting bid of £1.00 please.